Foothill Ranch’s Certified Invisalign Dentist, Dr. Parisa Zarbafian and our team at Pro Smile Dentistry realize how important a beautiful smile is. Whether you are looking to close gaps, straighten your teeth, or correct an overbite, our Foothill Ranch Invisalign may be the cosmetic procedure for you. Through the convenience of invisible braces, we can enhance your smile and increase your self-confidence. One of the primary concerns people often have about dental braces is the aesthetic impact of the metalwork on their smile. Especially for adults, the prospect of wearing unattractive metal braces for long periods of time can be very discouraging. Invisalign® offers an almost invisible aligning system that straightens teeth fast and contains no metal. At Pro Smile Dentistry, our Invisalign® treatment consists of a consultation with the patient, allowing them to have a better understanding of the procedure and treatment. If you have any kind of hesitation with the treatment, we will not go further into the process with the patient. If the patient were to continue with the procedure, we will then take impressions of your teeth and submit them to Invisalign, which will create a custom-made aligning trays fit just right for patient. Normally, Dr. Zarbafian will advise patients get teeth whitening done after the procedure. A great number of people report complete satisfaction with both the Invisalign® treatment and the stunning results. 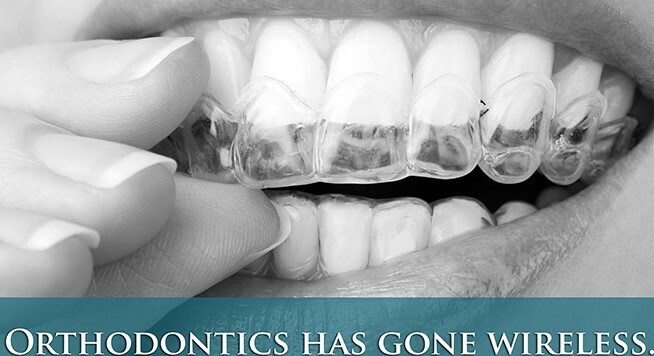 We see patients who get Invisalign once a month so that we can stay on top of everything restorative wise. If you have questions about Invisalign®, please ask your Dr. Parisa.